This horrific sweater is decked out in full winter regalia including two Pooping Moose. Nothing says peace and love during the holidays like pooping animals! Everyone will be laughing it up and hoping you'll be their Secret Santa. 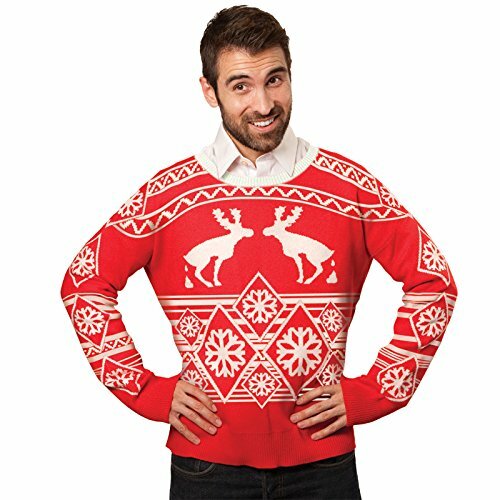 This hilarious sweater features delicate snowflakes, a festive holiday pattern, and squatting moose taking a dump. If you have any questions about this product by FunQi Gifts, contact us by completing and submitting the form below. If you are looking for a specif part number, please include it with your message.